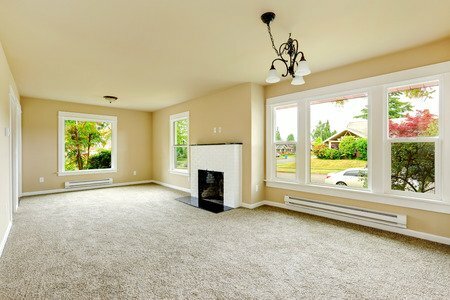 Carpet can be a fantastic flooring option for families. If you are having difficulties choosing the color, we are here to help! Here are our top four tips for picking your carpet color. Before you choose your carpet color, you will need to determine the colors for other areas within the room. Depending on your room, you may choose to start in a different area. In your living room, we recommend choosing your sofa color first whereas, in your bedroom, we recommend choosing your floor first. Ideally, you want to choose the color of the largest item within the room. This is recommended because it is easier and less expensive to change the colors of smaller items. Lastly, choose paint. Paint is always last. We recommend choosing paint last because there is an infinite color selection to match your floors and furnishings. Neutral colors are the top-selling color choice for carpet. Homeowners choose neutrals because they are timeless and work well with every other color. Bolder choices may need to be changed within a couple of years due to trend changes. If you do not want to be “boring” by choosing a neutral carpet, you can shake things up with patterns and textures. Berber flecks are a great way to add color to your space without settling on a color for your entire floor. Berber flecks are found within neutral-tone carpets and bring a pop of color through their “specks.” They can be appealing to parents because they help to hide stains and mishaps. Your lifestyle may be one of the single most important things to consider when choosing your carpet. If you are a parent or a pet owner, you may realize that stains are inevitable and white carpet is out of the question for you. Designers tend to recommend choosing a middle shade carpet instead of dark or light. Dark carpets do help to hide stains, but they can show lint whereas light carpets hide lint, but show stains. You want to make sure that you are getting the best type of carpet for yourself. The color is only one aspect of choosing the perfect carpet. To help make sure that you are getting the best deal, we would love to assist you in your search. With great prices, quality products, and financing options available, we hope to help you find the perfect carpet for your home. Call us or visit today! My husband and I are remodeling our home, and your article had some great tips for choosing carpet we could install during this project. I liked how you said to consider adding Berber flecks within the carpet, as these bring a pop of color with their specks. Thanks; we’ll keep this in mind when choosing new carpet. I want to get carpet flooring for my bedroom, but I’m not sure what color to choose. It makes sense that neutrals would be the best choice. That way the carpet doesn’t take away from the design of the rest of the room.